In 2012, Dion Giolito introduced La Grand Classe as a small-batch exclusive for his Fumare store in Reno, Nevada. The project appeared short-lived, with only one follow up, La Grand Classe Rex, which appeared in 2013. Then, at last year’s IPCPR Trade Show, Giolito, who also owns the Illusione brand, announced La Grand Classe Rex was returning as part of an Illusione-branded La Grand Classe line. 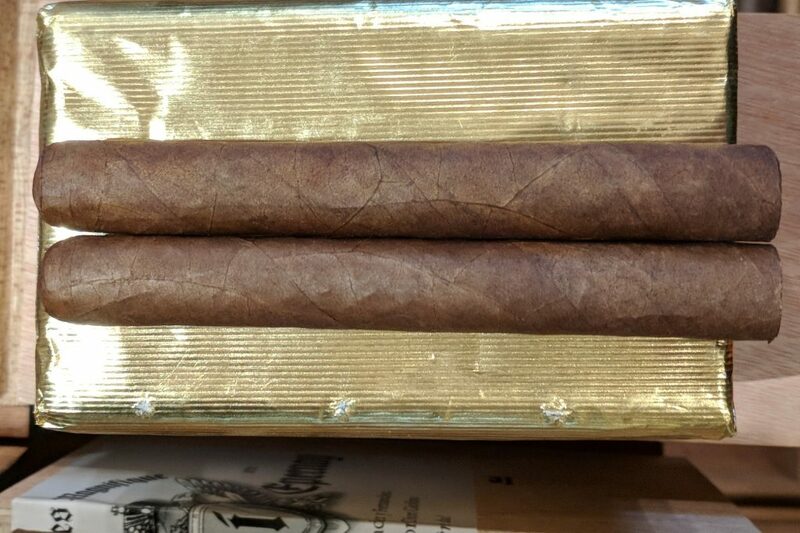 The cigars feature a reddish-brown Ecuadorian Habano wrapper around Nicaraguan binder and filler tobaccos. It measures 4.9 inches long with a ring gauge of 40 and sells for $5.50 per cigar. It comes un-banded in gold foil bundles of 25. Flavors include roasted cashews, dry earth, and light leather in a medium- to full-bodied blend. The profile also features cinnamon and nutmeg spice, which starts out light and builds after the midway point. It’s a balanced cigar that provides surprising nuance in such a small vitola. The draw and burn are excellent, although keep in mind that the ash produced by small ring gauge cigars has a tendency to fall off unexpectedly. If you’re looking for a smaller cigar to enjoy this winter (because you don’t have the time or warmth for something longer) this is one to try. For providing pleasing flavors and excellent value, Illusione La Gran Classe Rex earns a rating of four and a half stogies out of five.